The general knowledge test, taken by all applicants. The passenger transport test, taken by all bus driver applicants. The air brakes test, which you must take if your vehicle has air brakes, including air over hydraulic brakes. The combination vehicles test, which is required if you want to drive combination vehicles. The hazardous materials test, required if you want to haul hazardous materials or waste in amounts that require placarding or any quantity of a material listed as a select agent or toxin in 42 CFR 73. The tanker test, required if you want to haul a liquid or liquid gas in a permanently mounted cargo tank rated at 119 gallons or more or a portable tank rated at 1,000 gallons or more. The doubles/triples test, required if you want to pull double or triple trailers. The School Bus test, required if you want to drive a school bus. If you pass the required knowledge test(s), you can take the CDL skills tests. There are three types of general skills that will be tested: pre-trip inspection, basic vehicle control, and on-road driving. You must take these tests in the type of vehicle for which you wish to be licensed. Any vehicle that has components marked or labeled cannot be use for the Pre-trip Inspection Test. Pre-trip Vehicle Inspection. You will be tested to see if you know whether your vehicle is safe to drive. You will be asked to do a pre-trip inspection of your vehicle and explain to the examiner what you would inspect and why. Basic Vehicle Control. You will be tested on your skill to control the vehicle. You will be asked to move your vehicle forward, backward, and turn it within a defined area. These areas may be marked with traffic lanes, cones, barriers, or something similar. The examiner will tell you how each control test is to be done. On-road Test. 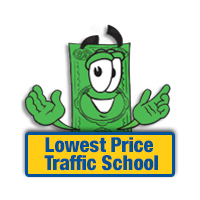 You will be tested on your skill to safely drive your vehicle in a variety of traffic situations. The situations may include left and right turns, intersections, railroad crossings, curves, up and down grades, single or multi-lane roads, streets, or highways. Special test procedures apply to railroad crossings in Florida (Section 13.1.8).The examiner will tell you where to drive. Figure 1.2 details which sections of this manual you should study for each particular class of license and for each endorsement.